Anaija with her new baby sister Sadie. Sunday was my (Anaija) 21st birthday. It marks twenty-one years since my mother gave birth to me at the young age of just nineteen, and as I like to jokingly remind her, her world changed for the better that day with me now in it. Yet, it was not easy to be a teenage mother with a newborn baby. The reality forced her to grow up a lot faster than she had planned, but she did it and little did we know she was only getting started. Anaija’s 1st Birthday. 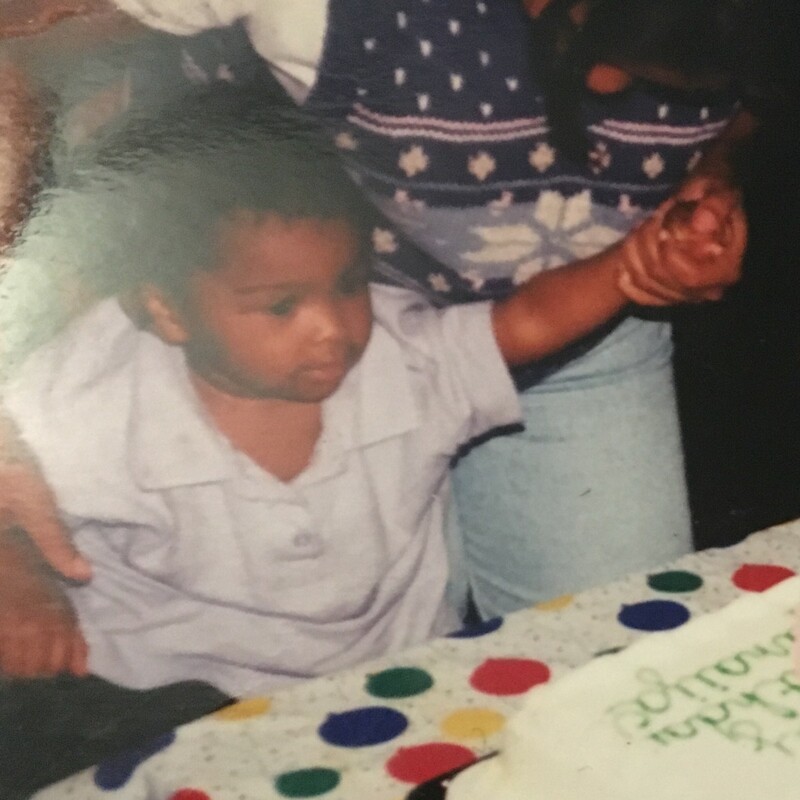 Stephanie (holding her hand) is 20. I celebrated this birthday on the campus of Spelman College, preparing to enter my 3rd year of undergrad studying pre-med. Spelman’s campus is a very different place from where I spent my first birthday. That birthday was spent with my mom and I living in a women’s shelter. We were homeless. Only in recent years has the scope and weight of what my mom was fighting through at that time just to keep us surviving really begun to sink in. My life, and our lives, are now so far removed from that world it almost seems like someone else’s story. But it’s not. The circumstances of our early years don’t give me shame, on the contrary I take great pride in where we came from. I take great pride in knowing that we went from being homeless and living in a women’s shelter to the beautiful house our family owns today. And how our journey demonstrates just how determined my mother was, and still is, to make a better life for me and my siblings. 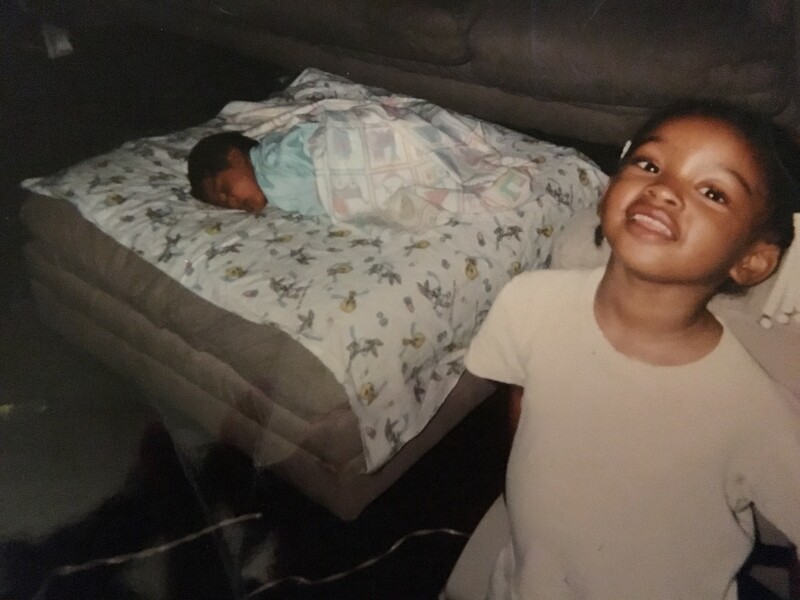 From the day I (Sadie) was born, just a couple years after my mom and Anaija were in that shelter, our mother always made sure that she was doing her best to provide for me, my older sister, and in the years that followed all of our siblings. In return all our mother ever asked is that we work just as hard to be the best people we could. My sister and I go to two of the best colleges in the country (this semester I start my freshmen year at Penn State) and the fact that we are where we are today is without question a product of our mother’s hard work and determination. Our mother has survived the kind of tough times that many others, if faced with the same situation, would have given up. Throughout the years, the struggles, the sleepless nights, and all the challenges in between our monther has always made sure to provide all that she could for her family. Stephanie Everett is the most tenacious person we have ever met. She has proven to be everything extraordinary and continues to give and provide for family and friends alike without hesitation. Even when faced with seeminly insurmountable obstacles against her she always manages to persevere. We were there to watch her work tirelessly in putting herself through school, earn both her undergraduate and law degrees, study for the bar and pass it, start her own law firm, all of this while also taking care of her family and all of her children (there are quite a few more of us now) without complaints — unless you count the numerous times she was frustrated with us kids for not cleaning the house enough. Stephanie Everett is a woman you can count on for anything while asking little to nothing in return, a trait she certainly installed in all of us. There is no one who has had an encounter with our mother who can say she was not there for them or helped them in some way. For that reason alone we know she will do anything in her power to make a difference as the next Register of Deeds for Suffolk County. There is no doubt in our minds that the dedication and high expectations she has held for us and our siblings would carry over to her work in this office. Her experience in the offices of the Massachusetts State House, her community advocacy, her work as an attorney, her dealings with criminal and real estate law, all put her far and away above the others running for this position. And if those reasons and experiences weren’t enough for her to be elected this week, imagine being in her situation 20 years ago. Watching your first child celebrate her first birthday while being homeless in a shelter. Imagine not knowing what the future would hold for both you and that child, and yet not allowing yourself to give up or be counted out. And now here we are, 20 years on and 20 years strong. All because she never gave up on us or herself. Our mother is a fighter and she is ready to fight for Suffolk County. 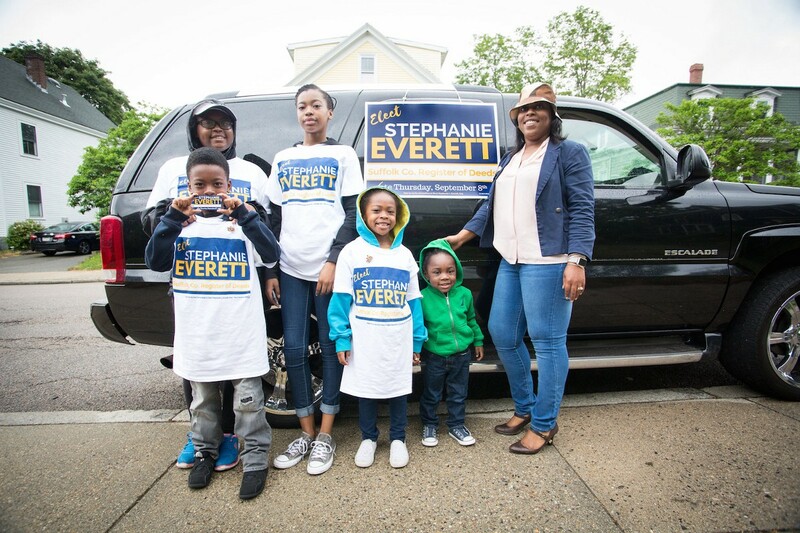 Stephanie was born and raised in Mattapan, where she currently resides. Her home is filled with the love of her husband and children (those who still live there). She is a practicing attorney dealing with criminal and real estate law. Stephanie has firsthand, personal experience with the impact properly managed government programs can have at opening doors and changing lives. 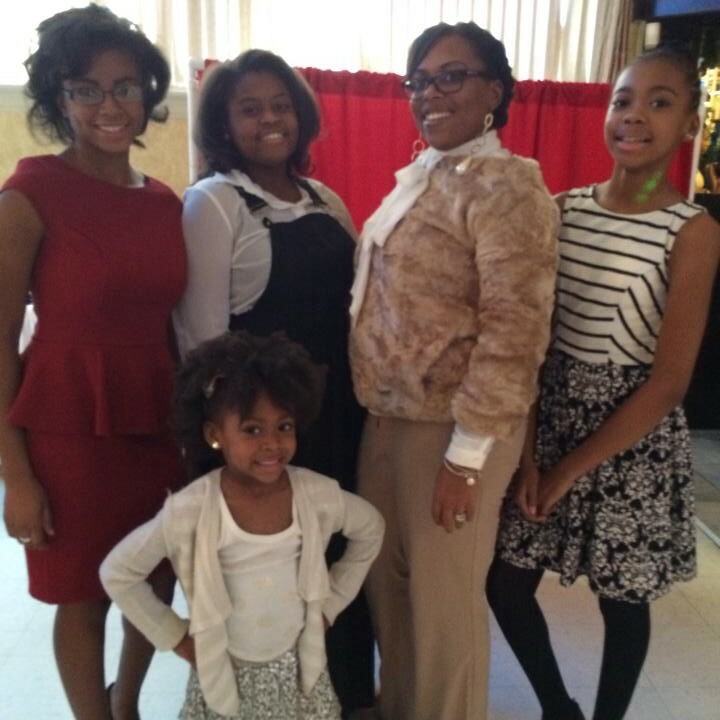 She was a participant in the METCO program and graduated from Boston Public Schools. Stephanie holds a B.A. from Northeastern University and a law degree from Suffolk University. Stephanie is running for the Massachusetts Suffolk County Register of Deeds in the Special Democratic Primary THIS Thursday, September 8th.